Articles about "Samsung E2120 Specs, Review in India" in this website is free. Read our reviews for "Samsung E2120 Specs, Review in India", gadget price, specs, features and find more latest Electronic Gadget Reviews and News. Samsung has launched a new budget mobile device, named as Samsung E2120. 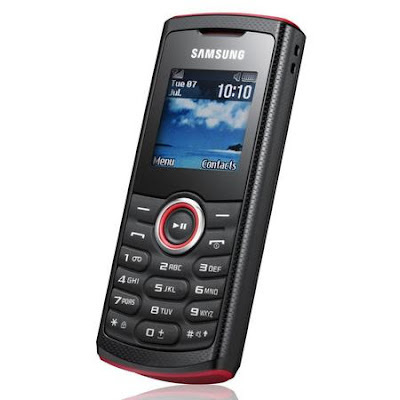 This new Samsung E2120 is also considered to be a pocket friendly mobile device that has the weight of 74g. The main attraction of this new handset is that it's boasts of dedicated music keys.Some of the notable features of this new Samsung E2120 is that it provides a 1.52-inch color display along with alphanumeric keypad. The handset is available with a VGA camera that is supportive to video capture. There is also an integrated web browser, FM radio as well as media player. The handset features 2 GB of storage.